AVCWare Photo Slideshow Maker for Mac offers more memorable ways to reserve and share your photos, with new tool for creating and customizing dazzling photo slideshows on Mac. Now you can combine any audio with your photo slideshows and perfect transitional effects to make your photo slideshows personalized and fantastic! A myriad of output video formats are provided for better enjoyment on your iPhone, iPod, PSP or upload to YouTube and other popular online destinations to share your photo slideshows privately online with your friends and family. 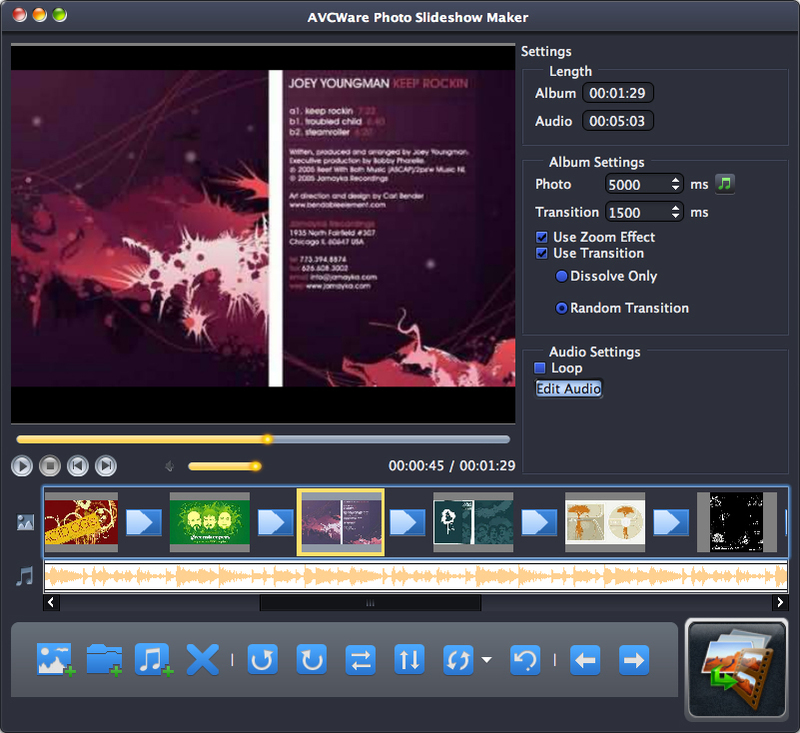 AVCWare Photo Slideshow Maker for Mac makes it simple to combine your favorite photos from birthday, vacations or any other occasion with music, effects to create one-of-a-kind photo slideshow videos. Convert between almost all popular video and audio formats. 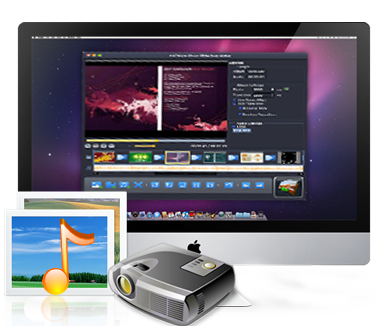 Convert DVDs to almost all popular video and audio formats. Easily backup iPod music and video files to Mac and iTunes. A world of different between a bundle of pictures and a photo slideshow with this application. Just a click or two, you can add hundreds of photos in formats of JPG, JPEG, PNG, GIF, BMP, TIFF, XBM and XPM to make your own slideshow. Add one of your own MP3s or a batch of favorite music tracks to your photo slideshows, you can also clip a segment from one audio file to create special background music. Upload your photo slideshows directly to YouTube or backup them on CD or DVDs to share your best moments with friends and family. Output the photo slideshows to various video formats like AVI, MPEG, WMV, DivX, MP4, H.264/AVC, AVCHD, MKV, RM, MOV, XviD and 3GP which are totally compatible with your mobile phones, iPod, PSP and other portable digital multi-media players. English, French, Italian, Spanish, German, Japanese, Simplified and Traditional Chinese languages are available.